A couple of weeks ago the issue of Apple’s In-App Purchase (IAP) policy once again came into focus when ComiXology was purchased by Amazon and subsequently removed the ability to purchase comics within their iOS apps using IAPs. I think it is safe to say that there was quite an outcry from ardent ComiXology users and others who follow the news of the technology industry. The reaction was mostly negative, or at least one of dissapointment. Depending on any one person’s views (or perhaps corporate allegiances), either Amazon was evil, Apple was evil, ComiXology was evil, or they were all evil and “once again” users lose out. I’m being overly dramatic here, but you get the picture: people (generally) weren’t happy with the change. If you want to read more about the specific issues at play in the ComiXology changes, I highly recommend Moises Chiullan’s article at Macworld. For me, the ComiXology issues once again highlighted the complexity for Apple (and others) of coming up with a policy for IAPs that is appropriate. I’ve always thought that the current policy leaves something to be desired because in a certain set of narrow (but high profile) circumstances, it results in situations that inconvenience or disadvantage the user. So with all that in mind, I want to explain what the current policy is and the problems that it causes. Then, I will run through some potential alternative rules and highlight their respective benefits and drawbacks. This is an excellent series by Stuart Hall: he developed a 7 minute workout app, and he's been posting details, numbers, and comments on what it's like to enter the App Store market today. While Stuart's story won't apply to every kind of app category and pricing scheme, there are several data points and charts worth considering. Make sure to check out part one and part two -- I hope there will be a part three as well. Great article by Craig Grannell, who interviewed several game developers. More often, though, you hear about, as Ismail puts it, games specifically designed to be “less fun unless you pay, but just addictive enough that you want to play”. Money and research is poured into analytics, metrics, monetisation and behavioural targeting. “The difficulty for me is you’re then no longer designing the most engaging experience for a player, and are instead designing mechanics around getting people to drop money as often as possible,” says Perrin, who likens this system to the gambling industry. As a long-time gamer, I still find myself wondering whether In-App Purchases will eventually prove to be a healthy model for the quality and economic viability of games. I like to think that it's possible to use IAPs without being evil, but that far too many companies are exploiting them. Keep in mind, though, that I'm biased. Our previous articles on games and IAPs still hold true today: there's a conflict between economics and goodwill, but I'd argue that, ultimately, value is what truly matters. Good move by Apple. The page contains screenshots, links to support documents, and a clear explanation of Parental Controls. Apple knows that In-App Purchases are usually bought by children using their parents' devices, and they also made sure to explain the differences between IAPs to "remove ads" and "buy virtual food". It's strange that the, in the US, the page is only featured on the iPad App Store. This doesn't fix the several other problems with In-App Purchases and developers exploiting the platform. Games like this shouldn't be approved to begin with. Hopefully a section that highlights clever, genuine implementations of In-App Purchases is next. Imangi Studios has today announced that Temple Run 2, the highly anticipated sequel to Temple Run, has been downloaded over 20 million times in four days on the App Store. The original Temple Run was downloaded 170 million times across the App Store, Google Play, and Amazon Appstore. Temple Run 2 generated 6 million downloads in the first day, making it one of the most successful iOS launches to date. Looking back at previous record-breaking numbers for iOS apps and games, Rovio reported 10 million downloads in 3 days, but on several platforms; the Google Maps app (also free like Temple Run 2) was downloaded over 10 million times in 48 hours. Imangi Studios also announced that Temple Run 2 is currently the #3 Top Grossing App on the App Store. It's no surprise that Temple Run 2 is doing well as far as in-app purchases are concerned. The game is clearly more optimized for IAPs, with unlockable upgrades, virtual items, and re-plays: if a player loses, he/she can choose to continue the same run using "gems". Gems can be collected in the game, but they're quite rare; the easiest way to get gems is to buy them. The "play again" menu is named "Save Me" and it appears in the middle of the screen every time a player reaches Game Over: it's a very easy target to tap, it's worded in a way to entice players towards continuing a run, and it mixes IAP with items that can also be collected in the game, albeit less frequently. For the developers, I believe it's a very intelligent implementation of IAP (a subject we covered last year); for the players, it can become annoying because -- as far as I can tell -- there's no quick way to dismiss the "Save Me" screen, which disappears after ~2 seconds. Temple Run 2 is optimized for IAPs in other ways as well. Users can "like" Temple Run on Facebook or follow the game on Twitter to "get free stuff" (again, gems). In the in-app Store, they can buy coin packs, a "coin-doubler" upgrade, and gem packs that go from $0.99 for 5 gems to $19.99 for 500 gems. Unsurprisingly, the App Store page of the game reveals the top in-app purchases so far: the $0.99 5 Gem Pack, the $0.99 5,000 Coin Pack, and the $4.99 50 Gem Pack. I'd be curious to know the percentage of users who bought gem packs by following the "Save Me" button. Speaking of Temple Run, make sure to check out The Telegraph's interview with Imangi's Keith Shepherd. In the interview, Shepherd talks about the history of Temple Run and their decision to rely on IAPs, but the first answer is my favorite. Making a game feel like a natural "extension of the player" has always been a top priority of another company that knows how to make games. But the reality was much different. 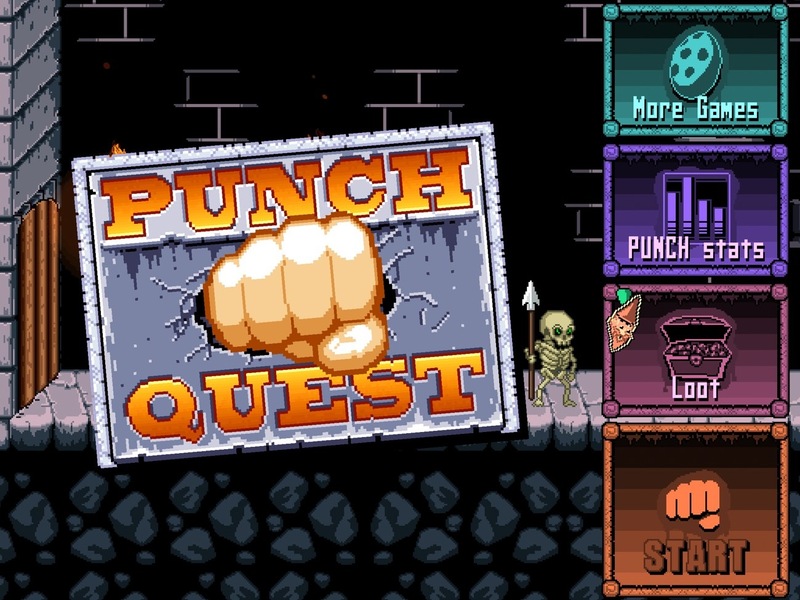 Despite surpassing 600,000 downloads, Punch Quest only just crossed into the five figure range in terms of revenue. "The really scary thing is that profits tend to drop off sharply a week after an app's out," Auwae says. "I hear it's a bit better for free apps, but a paid app often makes most of its money in the first week of being out." Figuring out where the problem lies is a difficult task. Punch Quest seems to have done many things right, with a game that has proved popular with a wide audience and was designed from the beginning with the concept of IAP in mind, but obviously something is missing. "There's a lot of stuff that could be wrong," says Auwae, "but we're just not sure. On the other hand, people are much more appreciative of paying for something that is more tangible — like more levels or new game modes. They are more substantial than a new gun, or some in-game coins that can buy you a power-up. I think this feeling is amplified when a user moves on from a game and looks back at what they payed for. If they were just buying currency for power-ups, there really isn’t anything to show for that money that they once spent. On the other hand if they bought a new game mode, they can see that additional mode and if they decide to come back to the game at a later date, they’ll still have that and be able to take advantage of it. As Andrew Webster wrote at The Verge, I think Punch Quest's case is primarily an issue of perceived value. I don't think Punch Quest's virtual currency-like model for IAP is a sustainable model. On the other hand, I don't think it's a problem of "small Buy button" (as suggested by The Verge): Loren Brichter's Letterpress is a different genre, but some mechanics of revenue generation with IAP are comparable with Punch Quest. Loren said he didn't make any "IAP optimization" to guide users towards spending money, yet Letterpress is a success. I believe it ultimately goes down to the fact that Letterpress' IAP feels like a must-have, as I wrote in my review. Punch Quest doesn't make me feel like I'm missing out. It doesn't leverage the addictive nature of the game to draw me to the IAP options; at the contrary, the fact that it's easy to collect currency in the game makes me feel like the IAP is unnecessary: I can play this because I like it and I'll collect coins anyway. Letterpress, on the flip side, doesn't trade your time for options. You're always going to miss themes and simultaneous games if you don't pay. The IAP of Letterpress is an exclusive option that is based on the game's essence: playing games against friends. You like this game so much you want to play more games? Then pay. Otherwise, you won't have the feature. Simple and effective. With In-App Purchases, I want to feel like I'm paying for something that I need. Even better, I want that to be more than a feeling: it's got to be a fact. Personally, I believe developers shouldn't settle on "established" ways to implement IAPs. For instance, despite the completely different category, I like what iThoughts HD is doing with IAP: the regular app is $9.99 and already a sustainable business model, but if you want, you can pay more. Paying $3.99 for the IAP will unlock "Early Access" features, which include things like Search and Doodling on mind maps. These are features that will come to the main app eventually, but you can pay to get them now. iThoughts' IAP works from both technical and conceptual perspectives. By paying, you know you're supporting the ongoing development of an app you like, and that is a powerful concept by itself. But, at the same time, you're also getting new features before other people -- you're unlocking new exclusive stuff. Features that make the app better and that are cleverly targeted at people who use iThoughts on a regular basis. It feels like a must-have. It's marketed differently, but iThoughts' IAP is actually very similar to Letterpress: it understands the app's user base and allows customers to get more functionality by paying. In-App Purchases are tricky. To get a complete overview of this phenomenon in games, I still recommend reading Graham's story from June, which includes various surveys with developers and users. 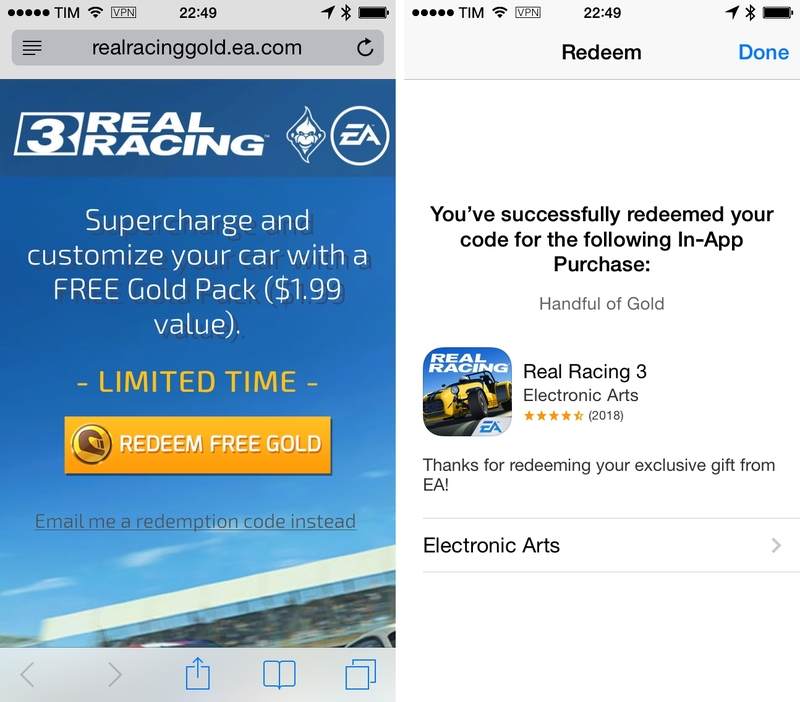 Overall, I believe IAPs can be a stable (and possibly more intelligent) business model, but developers should consider the value perceived by their customers before and after the purchase. In-App Purchases for iOS games. It's a bit of a sensitive topic really, not many people like them at all, and quite a few people hate them and the impact they have had on the iOS games market. But today I want to explore the reason for their prevalence and explain why it has become an important part of the market for developers. I also want to reframe the discussion from one of "In-App Purchases are a problem" to one where we consider how they are being used and what developers could do to improve their implementation. Below the break is Part 1: The Economics, in which I tackle the reason for their prevalence and importance in the iOS games market. Following that is Part 2: "Developers and Goodwill To Customers" in which I discuss how they are being used and perhaps what might be some best practices.